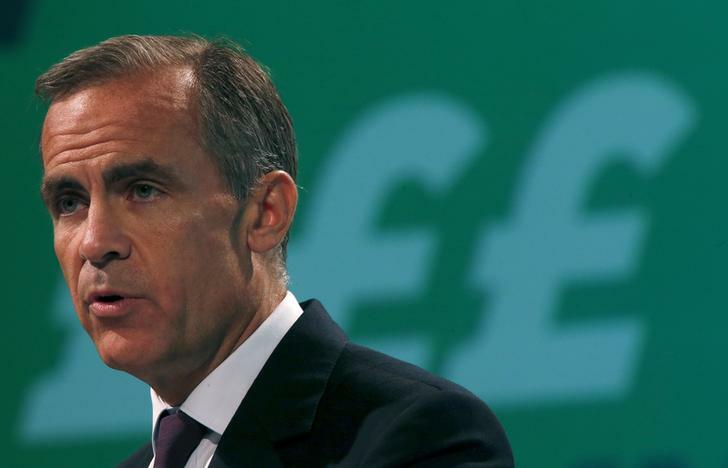 The Bank of England just indicated British banks’ long capital build is nearly complete. The UK supervisor said on Dec. 1 that none of the country’s big seven lenders had failed its 2015 stress tests, although Royal Bank of Scotland and Standard Chartered initially flunked on some supplemental metrics. More importantly, the BoE gave important clarity on where UK bank ratios need to end up. This year’s exam envisaged Chinese GDP growth slowing to just 1.7 percent, a 40 billion pound hit to pre-tax profit from misconduct, and losses on illiquid trading positions. As a result, RBS missed its so-called individual capital guidance, which measures a combination of its minimum capital ratio and a regulatory add-on for specific risks. Standard Chartered’s Tier 1 ratio, a slightly wider metric than the core Tier 1 figure investors usually focus on, fell short of the required 6 percent. Yet the two laggards managed to avoid dipping below either a 4.5 percent minimum core Tier 1 ratio or a 3 percent leverage ratio, after taking account of management actions. Barclays, HSBC, Lloyds, Nationwide and Santander passed with more comfort. In total, the sector’s core equity Tier 1 ratio fell from 11.2 percent to a still-adequate 7.6 percent. More significantly, the BoE also said it expects banks’ common equity Tier 1 ratios to be 9.5 percent over the long-term – well below the current 12.2 percent. That doesn’t mean the industry has huge amounts of excess capital, though. The lower figure factors in new regulations to harmonise the way banks measure the riskiness of their assets, which will shrink capital ratios. After taking this into account, the BoE reckons banks need their common equity Tier 1 ratios to be 12 to 12.5 percent. Even the prospect of a new buffer to guard against macroeconomic shocks shouldn’t hurt too badly. While it could require an extra 10 billion pounds of capital if brought in next year, the BoE will take most of that out of existing ratios. The regulator has already said next year’s pass mark will be higher: Barclays would have narrowly failed if held to 2016 thresholds, Bernstein analysts estimate. But UK banks in general have been given more clarity on capital. For investors interested in when lenders might be able to sustainably pay dividends, that’s welcome. Bank of England Governor Mark Carney delivers his keynote speech at the annual Trades Union Congress (TUC), in Liverpool, northern England September 9, 2014. Britain’s largest banks are adequately capitalised to support the real economy in a severe global stress scenario, the Bank of England concluded on Dec. 1, although two lenders initially fell short on certain capital metrics. The results of an annual stress test found that while the seven banks tested did not need to raise new capital, Standard Chartered fell below one of its capital thresholds and Royal Bank of Scotland fell below its individual supervisory requirement on leverage. The regulator added that in both cases, management had taken steps to strengthen the banks’ positions since end-2014, the date from which test data had been taken. The study modelled a fall in Chinese GDP growth from 7 percent to 1.7 percent, and oil prices sliding to $38 a barrel. The UK central bank said the stress test’s effect was to wipe out 100 billion pounds of pre-tax profit over the first two years of the test relative to its projected baseline. Barclays, HSBC, Lloyds Banking Group, Nationwide Building Society and Santander were the other banks subjected to the stress test. Together, the seven lenders account for over 80 percent of the lending to the UK real economy undertaken by institutions regulated by the Prudential Regulation Authority, a division of the Bank of England. Shares in Lloyds Banking Group and Barclays were both up 2.6 percent as of 0850 GMT on Dec. 1. HSBC shares were up 1.4 percent and Standard Chartered 1.8 percent.